Over the last decade or so at the World Series of Poker many players have reached the final table of the WSOP Main Event; some have been well-known players, some are anonymous poker pros making their first big run in a major tournament, some are young online pros, some are degenerate poker players who win or lose wind up broke in a few months, and still others are simply amateurs on the heater of a lifetime. For many of these players it’s unclear which category they fall into until years later when we can look at their careers as a whole, and Matt Jarvis is definitely one of those players. 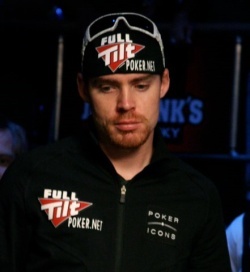 At the 2010 WSOP final table November Niner Matt Jarvis didn’t have much of a chance to showcase his poker skills after losing a lot of chips early on, but now the Canadian poker pro is looking for a little redemption as he is a single opponent away from, claiming his first bracelet at the WSOP. Jarvis has been amongst the chip-leaders virtually throughout the event, which is no small task considering the all-star field that entered the $5k NLHE tournament, and with a commanding chip-lead against his lone opponent, the 8th place finisher in the 2010 Main Event is poised to take down the coveted tournament and prove he is no rank amateur. This entry was posted on Sunday, June 26th, 2011 at 7:30 am and is filed under Poker News. You can follow any responses to this entry through the RSS 2.0 feed. You can leave a response, or trackback from your own site.